9/11 Commission Work Plan Reveals FBI Found al Qaeda Member’s U.S. Flight Certificate Inside Envelope of Saudi Embassy in D.C.
As President Obama prepares to visit Saudi Arabia on Wednesday, his administration is under increasing pressure to declassify 28 pages that, according to many who’ve read them, illustrate financial links between the Saudi government and the 9/11 hijackers. Meanwhile, a far lesser-known document from the files of the 9/11 Commission—written by the same principal authors as the 28 pages and declassified last summer without publicity and without media analysis—indicates investigators proposed exploring to what extent “political, economic and other considerations” affected U.S. government investigations of links between Saudi Arabia and 9/11. Drafted by Dana Lesemann and Michael Jacobson as a set of work plans for their specific parts of the 9/11 Commission investigation, the 47-page document also provides an overview of individuals of most interest to investigators pursuing a Saudi connection to the 2001 attack that killed nearly 3,000 people. Included in that overview is a previously unpublicized declaration that, after the capture of alleged al-Qaeda operative Ghassan al-Sharbi in Pakistan, the FBI discovered a cache of documents he had buried nearby. Among them: al-Sharbi’s U.S. flight certificate inside an envelope of the Saudi embassy in Washington, D.C. Dated June 6, 2003, Document 17 was written by Lesemann and Jacobson in their capacity as staff investigators for the 9/11 Commission, and was addressed to 9/11 Commission Executive Director Philip Zelikow, Deputy Executive Director Chris Kojm and General Counsel Dan Marcus. Lesemann and Jacobson had previously worked together on the 2002 joint congressional 9/11 intelligence inquiry and authored the classified, 28-page chapter on foreign government financing of the attacks. Document 17 outlines how the two investigators proposed to extend their earlier research. The plans include many questions Lesemann and Jacobson felt the investigation should answer. Two of those questions seem strikingly relevant today, as a declassification review of just 28 pages said to implicate Saudi Arabia in the 9/11 attacks has inexplicably taken three times as long as the entire joint inquiry that produced them, and while a growing number of current and former officials who are familiar with the pages emphatically assert there’s no national security risk in their release. They are two questions Lesemann wouldn’t be permitted to answer: Zelikow fired her first. Her termination had an apparent Saudi aspect of its own: Impatient with Zelikow’s neglect of her repeated requests for access to the 28 pages, she circumvented him to gain access on her own. When Zelikow discovered it, he promptly dismissed her. Organizationally set apart from dozens of other questions as among the more important, overarching lines of inquiry for their particular avenue of the commission’s work, the significance of the questions’ presence in Document 17 is amplified by the absence of corresponding answers in the commission’s final report. At some point—perhaps after Lesemann’s determined interest in Saudi links to 9/11 led to her dismissal—someone apparently determined a public study of those questions was beyond the scope of work. 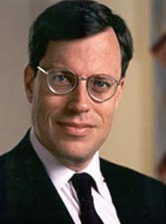 Zelikow’s appointment over the commission was controversial, given his previous friendship with National Security Advisor Condoleezza Rice and the fact he’d served on the Bush administration’s transition team. That history and, once appointed, his ongoing contacts with Bush political advisor Karl Rove, led some to question whether he was willing or able to achieve the high level of impartiality so essential to his role. 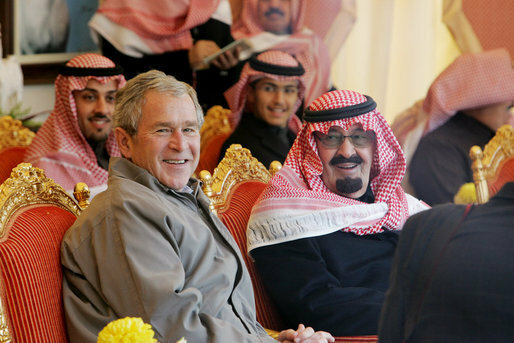 The Bush family has a multi-generational relationship with the Saudi royal family, with ties that are both deeply personal and deeply financial. Prince Bandar bin Sultan was the Saudi ambassador to the United States on 9/11, and is considered a personal friend of George W. Bush. With many investigatory leads pointing toward the Saudi embassy in Washington, some feel Bandar merits thorough investigation—or that he may even be directly implicated in the 28 pages that Bush controversially redacted. (If you watched the impactful prime time 60 Minutes segment on the 28 pages that aired last week and don’t remember Lehman’s intriguing statement, it’s because 60 Minutes oddly relegated perhaps their most newsworthy quote of all to this web extra.) There are many more examples of the U.S. government’s thwarting of Saudi-related inquiries, both outside and inside the work of the 9/11 Commission. The FBI’s 2002 discovery of a U.S. flight certificate inside a Saudi embassy envelope was news to Graham, who co-chaired the joint congressional inquiry that produced the 28 pages. “That’s very interesting. That’s a very intriguing and close connection to the Saudi embassy,” said Graham, who has been championing the declassification of the 28 pages and a perhaps hundreds of thousands of pages of other documents since 2003. Since people often re-use envelopes and citizens of any country may have legitimate reasons for correspondence with the embassies of their government in foreign countries they live in, the Saudi embassy envelope isn’t by itself conclusive of anything. 28Pages.org couldn’t find any other history of the FBI’s find or of the government’s evaluation of its significance. 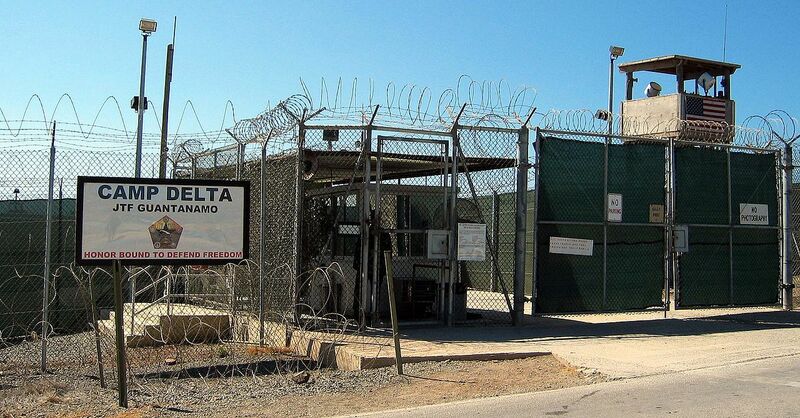 Al-Sharbi is one of 80 remaining detainees at Guantanamo Bay. His public record includes his graduation from Embry-Riddle Aeronautical University, reported association with other al-Qaeda members and alleged attendance at training camps in Afghanistan. He is also among the individuals identified in FBI agent Kenneth Williams’ July 2001 electronic communication, sometimes called the “Phoenix EC” or “Phoenix Memo.” With it, Williams attempted—unsuccessfully—to alert the rest of the bureau about suspicions that Middle Eastern extremists were attending flight schools with ill intent, and to recommend a nationwide investigation of the phenomenon. While those aspects of al-Sharbi’s story have been widely discussed, the FBI’s reported discovery of his flight certificate inside a Saudi embassy envelope buried in Pakistan has not. Here, we directly excerpt many entries from the list, with an emphasis on those that are more suggestive of a link to the Saudi government. Much of the information is already well-known. It’s important to note that any given association described in these documents may well be benign, that witness statements aren’t always accurate, and that a previous government assertion of a fact may have already proved or may yet be proved wrong. Omar Al-Bayoumi: Al-Bayoumi, a Saudi national, provided September 11 hijackers Nawaf al-Hazmi and Khalid al-Mihdhar with considerable assistance after the hijackers arrived in San Diego in February 2000. He helped them locate an apartment, co-signed their lease, and ordered Mohdhar Abdullah (discussed below) to provide them with whatever assistance they needed in acclimating to the United States. The FBI now believes that in January 2000 al-Bayoumi met with Fahad al-Thumairy, a Saudi diplomat and cleric, at the Saudi Consulate in Los Angeles before going to the restaurant where he met the hijackers and engaged them in conversation. Whether or not al-Bayoumi ‘s meeting with the hijackers was accidental or arranged is still the subject of debate. During his conversation with the hijackers, Al-Bayoumi invited them to move to San Diego, which they did shortly thereafter. Al-Bayoumi has extensive ties to the Saudi Government and many in the local Muslim community in San Diego believed that he was a Saudi intelligence officer. The FBI believes it is possible that he was an agent of the Saudi Government and that he may have been reporting on the local community to Saudi Government officials. In addition, during its investigation, the FBI discovered that al-Bayoumi has ties to terrorist elements as well. Osama Bassnan: Bassnan was a very close associate of al-Bayoumi’s, and was in frequent contact with him while the hijackers were in San Diego. Bassnan, a vocal supporter of Usama Bin Ladin, admitted to an FBI asset that he met al-Hazmi and al-Mihdhar while the hijackers were in San Diego, but denied this in a later conversation. There is some circumstantial evidence that he may have had closer ties to the hijackers, but the FBI has been unable to corroborate this additional reporting. Bassnan received considerable funding from Prince Bandar and Princess Haifa, supposedly for his wife’s medical treatments. According to FBI documents, Bassnan is a former employee of the Saudi Government’s Educational Mission in Washington, D.C.
Fahad Al-Thumairy: Until recently al-Thumairy was an accredited Saudi diplomat and imam at the King Fahad Mosque in Culver City, California. The news media reported that the U.S. Government revoked al-Thumairy’s visa in May 2003 ; the diplomat subsequently returned to Saudi Arabia. The FBI now believes that Omar al-Bayoumi met with al-Thumairy at the Saudi Consulate in Los Angeles before al-Bayoumi went to the restaurant where he met the hijackers. According to witness reporting, al-Hazmi and al-Mihdhar were also taken to the King Fahad Mosque while they were in the United States. Mohdhar Abdullah: Abdullah was tasked by Omar al-Bayoumi to provide al-Hazmi and al-Mihdhar with whatever assistance they needed while in San Diego. Abdullah, who became one of the hijackers’ closest associates in San Diego, translated for them, helped them open bank accounts, contacted flight schools for the hijackers, and helped them otherwise acclimate to life in the United States. Osama Nooh and Lafi al-Harbi: Al-Harbi and Nooh are Saudi naval officers who were posted to San Diego while hijackers al-Mihdhar and al-Hazmi were living there. After the September 11th attacks, the FBI determined that al-Hazmi had telephonic contact with both Nooh and al-Harbi while al-Hazmi was in the United States. Mohammed Quadir-Harunani: Quadir-Harunani has been the subject of an FBI counterterrorism investigation since 1999 and the FBI is currently investigating whether he had contact with the September 11th hijackers. In June 2000 a call was placed from Transcom International, a company owned by Quadir-Harunani, to a number subscribed to by Said Bahaji, one of the key members of the Hamburg cell. Quadir-Harunani is also a close associate of Usama bin Ladin’s half-brother, Abdullah Bin Ladin (discussed below), who was assigned to the Saudi Embassy in Washington, D.C.-E87 2. Abdullah Bin Ladin: Abdullah bin Ladin (ABL) is reportedly Usama bin Ladin’s half-brother. He is the President and Director of the World Arab Muslim Youth Association (WAMY) and the Institute of Islamic and Arabic Studies in America. Both organizations are local branches of nongovernmental organizations based in Riyadh, Saudi Arabia. According to the FBI, there is reason to believe that WAMY is “closely associated with the funding and financing of international terrorist activities and in the past has provided logistical support to individuals wishing to fight in the Afghan War.” ABL has been assigned to the Saudi Embassy in Washington, D.C. as an administrative officer. He is a close associate of Mohammed Quadir Harunani’s and has provided funding for Transcom International. Fahad Abdullah Saleh Bakala: According to an FBI document, Bakala was close friends with two of the September 11th hijackers. The document also notes that Bakala has worked as a pilot for the Saudi Royal Family, flying Usama Bin Ladin between Afghanistan and Saudi Arabia during UBL’s exile. Hamad Alotaibi: Alotaibi was assigned to the Saudi Embassy Military Division in Washington, D.C. According to an eyewitness report, one of the September 11th hijackers may have visited Alotaibi at his residence; another FBI document notes that a second hijacker may have also visited this address. Hamid Al-Rashid: Al-Rashid is an employee of the Saudi Civil Aviation Authority and was apparently responsible for approving the salary of Omar al-Bayoumi. Hamid al-Rashid is also the father of Saud al-Rashid, whose photo was found in a raid of an al-Qa’ida safehouse in Karachi and who has admitted to being in Afghanistan between May 2000 and May 2001. Ghassan al-Sharbi: Al-Sharbi is a Saudi student who was taking flight lessons in the Phoenix area before the September 11 attacks and is mentioned in the “Phoenix EC.” The U.S. government captured al-Sharbi in the same location where Abu Zubaida was discovered in early 2002. After Al-Sharbi was captured, the FBI discovered that he had buried a cache of documents nearby, including an envelope from the Saudi embassy in Washington that contained al-Sharbi’s flight certificate. Saleh Al-Hussayen: According to FBI documents, Saleh Al-Hussayen is a Saudi Interior Ministry employee/official and may also be a prominent Saudi cleric. According to one news article, Saleh Al-Hussayen is the Chief Administrator of the Holy Mosques in Mecca and Medina. An FBI affidavit notes that Saleh Al-Hussayen stayed in the same hotel as three of the hijackers on September 10, 2001. He told the FBI that he did not know the hijackers . The FBI agents interviewing him, however, believed he was being deceptive. The interview was terminated when al-Hussayen either passed out or feigned a seizure and was taken to the hospital; he then departed the country before the FBI could reinterview him. Saleh Al-Hussayen is ‘also the uncle of Sami Al -Hussayen (discussed below). Mohammed Fakihi: Fakihi is a Saudi diplomat. Until recently he was assigned to the Islamic Affairs Section of the Saudi Embassy in Berlin, Germany. Soon after the September 11th attacks, German authorities searched SECRET 3 SECRET 10 the apartment of Munir Motassadeq, an associate of the hijackers in Hamburg , and found Fakihi’s business card. According to press reports , the Saudis did not respond to German requests for information on Fakihi. More recently, German authorities discovered that Fakihi had contacts with other terrorists; Fakihi was subsequently recalled to Saudi Arabia. Salah Bedaiwi: Bedaiwi is a Saudi Naval officer who was posted to a U .S. Navy base in Pensacola, Florida. He visited the Middle Eastern Market in Miami, a location frequented by several of the hijackers, and was in contact with at least one of the hijackers’ possible associates. The FBI has been investigating these connections, as well as his ties to other terrorist elements. Mohammed Al-Qudhaeein and Hamdan Al-Shalawi: Al-Qudhaeein and Al-Shalawi were both Saudi students living in the Phoenix area. Qudhaeein was receiving funding from the Saudi Government during his time in Phoenix. Qudhaeein and Al-Shalawi were involved in a 1999 incident aboard an America West flight that the FBI’s Phoenix Office now believes may have been a “dry run” for the September 11th attacks. Al-Qudhaeein and Al-Shalawi were traveling to Washington, D.C. to attend a party at the Saudi Embassy; the Saudi Embassy paid for their airfare. According to FBI documents, during the flight they engaged in suspicious behavior, including several attempts to gain access to the cockpit. The plane made an emergency landing in Ohio, but no charges were filed against either individual. The FBI subsequently received information in November 2000 that Al-Shalawi had been trained at the terrorist camps in Afghanistan to conduct Khobar Towertype attacks and the FBI has also developed information tying Al-Qudhaeein to terrorist elements as well. Ali Hafiz Al-Marri and Maha Al-Marri: Ali Al-Marri was indicted for lying to the FBI about his contact with Mustafa Al-Hasawi, one of the September 11th financiers. Ali Al-Marri, who arrived in the United States shortly before the September 11th attacks, attempted to call Al-Hasawi a number of times from the United States. The FBI has recently received reporting that he may also have been an al:.Qa’ida “sleeper agent.” According to FBI documents, Ali Al-Marri has connections to the Saudi Royal Family. The Saudi Government provided financial support to his wife, Maha Al-Marri, after Ali Al-Marri was detained and assisted her in departing the United States before the FBI could interview her. Brian McGlinchey is the founder and director of 28Pages.org and principal at Liberty Messaging.